Deaths in police custody should be probed by investigators qualified in securing evidence at crime scenes, a major review has said. The report calls for major changes, including barring former police officers from leading investigations. It also recommends “drying out centres” as safer alternatives to police cells for holding intoxicated detainees. Home Secretary Amber Rudd said the government was committed to “learning lessons and delivering change”. Olaseni Lewis died in 2010 after his brain had been starved of oxygen. He had voluntarily admitted himself to a hospital for mental health treatment. Staff called police when he became agitated. An inquest jury found multiple failings by 11 officers who had used “excessive force” contributed to his death. Sean Rigg died at Brixton police station, south London, in 2008. He was suffering from paranoid schizophrenia and his inquest found police had used “unsuitable” force. One officer was prosecuted and found not guilty of giving false evidence at Mr Rigg’s inquest. The Crown Prosecution Service said in 2016 there was insufficient evidence to charge five others. 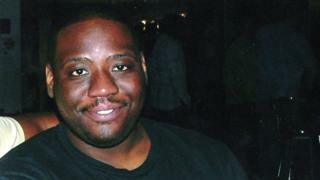 Kingsley Burrell died from a cardiac arrest in March 2011 while detained by police at Birmingham’s Oleaster mental health unit. Witnesses said Mr Burrell’s head or face had been covered and an inquest jury found that prolonged restrained had been a factor in the death. Earlier this year, three police officers were cleared of lying under oath at that inquest. The report also recommends that police officers who are involved in a death in custody “should not confer or speak to each other” before they have produced their initial account of what happened. Former police officers, currently the backbone of many IPCC probes, should be phased out of leading investigations and should have background roles as consultants. Under the European Convention of Human Rights, the government is under a general legal duty to make sure that any death involving a state agency, such as the police, is properly investigated. Dame Elish’s review recommended a new body that would report to Parliament and the public on how well the UK was doing in learning lessons from deaths. In a detailed response, the Home Office committed to improving access to legal aid for bereaved families and said that from December police cells will no longer be used to hold under-18s who are suffering from a mental illness. It said it recognised the difficulties faced by policing in responding to incidents involving experiencing a mental health crisis and the police stations were being used less and less to detain people in this situation. In its own response, the IPCC warned the recommendations for a 24-hour on call team would require “a huge resource” and police were already under a duty to protect the scene. It said that fewer than 25% of its investigative staff were now former police officers. “When the [new] Independent Office for Police Conduct comes into effect, the new director general, who by law also may not ever have worked for the police, will have the statutory power to specify that certain roles cannot be filled by those who have previously worked in the police service.